Even among modern atheists, a fragile consensus holds that Jesus was at least a real person, whose historical presence, though embellished, has been reliably established in the order of disinterested scholarship. Whether he is envisioned as peace-loving rabbinical sage or as a militant prophet of doom, this man called Jesus is widely assumed to have had an important, even a profound, impact on the course of world history. 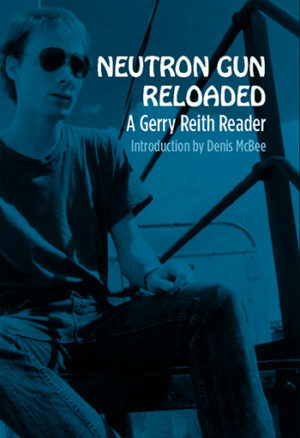 But in the early years of the 21st century a radical – though not particularly new – thesis has become increasingly difficult to ignore. 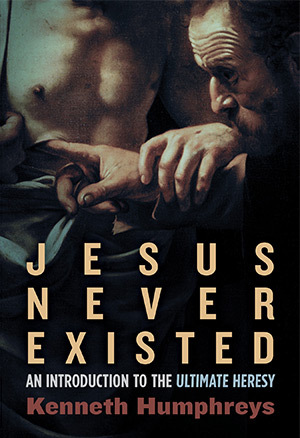 This thesis, as it is argued over and disseminated across the Internet and made accessible in a rapidly growing number of books, threatens to displace the regnant historiographical paradigm with a simple but devastating proposition: that Jesus never existed at all! In the space of this hard-hitting monograph and supplemental interview, dissident scholar Kenneth Humphreys interrogates the biblical and historical evidence to offer this concise and pithy exposition of a “fringe” idea whose time has come. Not content to merely poke holes in tall tales from antiquity, Humphreys presents a surprisingly straightforward case that Jesus, thought by millions of naive believers to have been God incarnate, or at least the Son of God, was not even a man. Until now, most scholars of religion have, at least publicly, been content to repeat the safe and conciliatory assurance that a Jesus “probably” existed. But we may well be approaching a tipping point when those same scholars, confronted with powerful evidence and an inquisitive public, will summon the courage to aver that Jesus “probably” never existed after all. Having devoted much of his life to the careful study of ancient history, Humphreys harbors no doubt: Jesus, the non-existent son of a non-existent father, will soon be consigned to a place among his ancestors–Adam, Noah, Abraham, and Moses–in the realm of mythology, not history. Let this be your introduction to the ultimate heresy!